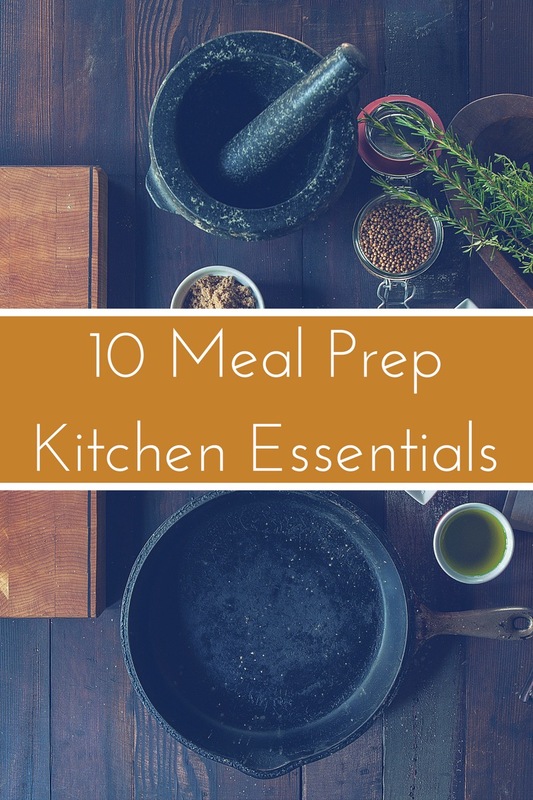 Ten Meal Prepping Kitchen Essentials! Since clients are always asking me what accessories they need for meal prep, I decided to dedicate a post to help my followers have an all-in-one reference guide to which they can refer. This will also help me to be able to post a single link to this blog post instead of looking up the products every time! All of these links are Amazon Affiliate links and if you use them then you are helping to support my blog! I assure you that at the time of writing this post, I have no sponsorships and all of these products have come from my own research and subsequent purchases. I love these items, and I just want to share my finds with you! I will also be making a similar post with Instant Pot accessories, so stay tuned for that! #1 For prepping egg muffins, you absolutely MUST get a silicone muffin pan. It is life changing! I used to dread making egg muffins because it took me forever to get my pans clean. With the silicone pan, the muffins slide right out and your clean-up is a snap. #2 A friend just introduced me to this manual food chopped. What a lifesaver! I HATE chopping onions. With this, you pull a cord a few times and your onions are diced. No tears, no stinky hands, no effort! #3 Every meal prepper needs to invest in BPA free, freezer and microwave-safe sturdy containers. I’m loving these by Freshware! #4 An apple corer is another handy-dandy device that will save you time and energy. I use this for preparing apple slices for my kids almost on a daily basis. It can also be used to help quickly slice potatoes. #5 There is a reason why “zoodles” are all the rage! They are a delicious low carb alternative to pasta. But, you need to have the right tools which is why I invested in this spiralizer several months ago. It hasn’t failed me yet! If you aren’t ready to spend $22 on a spiralizer, the Veggeti is another great option which I also own. This requires slightly more effort (not much) and is better if you are only prepping for one. #6 If you are going to impress your co-workers with your gorgeous mason jar salads, you’d better buy some jars! #7 I use my cutting board on a daily basis. I like this one because it is very easy to clean and it stays put on the counter. #8 If you are prepping food, do yourself a favor and invest in a quality knife set. Full disclosure, I need to buy one. This is the one I have my eye on it because it is a great value and five star reviews. For portion control containers,I recommend looking into the 21 Day Fix program. The Fix nutrition plan is incredibly effective and the program comes with a set of color coded container which represent one servings of each of the food groups in the plan. It takes all the guess work of how much to eat of what foods each day. This arsenal of kitchen essential will make you a champion meal prepper in no time! So, what did I leave out? Are there any kitchen tools that have helped you in your meal prep efforts. I’d love to know, and am always looking for a reason to buy new stuff! Hook me up in the comments! #1 Use a simple weekly planner and grocery list to plan out your meals the day before. Click these links for nice templates I found online for a weekly meal plan schedule and a grocery list. Once you do this type of planning for 4-5 weeks, you can reuse your schedules from month to month, or from season to season. No reason to cook the same tired thing every single week! #2 Use what you’ve got. Every weekend, review what’s in your fridge. Have spinach that is about to turn? Throw it into a risotto. Have some chicken that you need to cook? Make soup! #3 Be prepared with the right tools. Sturdy, BPA-free, microwave and freezer-safe containers like these will do you a world of good when reheating or storing your meals. #5 Don’t eyeball your portions. Use these color-coded containers (contact me for more info on these) or basic measuring cups to make sure you are getting the appropriate amount of each food group. It’s so easy to put in twice the serving size of rice if you are just spooning it into the container. #6 Everybody loves snacks, right? There is nothing worse than bring stuck in a meeting or in a traffic jam with no healthy options available. Your head is hurting, your energy level is falling, and your “bathroom break” really consists of you running with a dollar in your hand to the nearest vending machine and then inhaling peanut M&Ms and pork rinds. Don’t go there. Portion out almonds, rice crackers, or sunflower seeds and put them in your laptop bag. Grab an apple, or a Lara Bar and stick it in your purse or glove box. Just make sure you choose something that won’t spoil quickly. I can’t tell you how many times I have found a bag of nuts in the bottom of my briefcase and practically cried tears of joy. #7 Don’t do too much right off the bat. You are sure to become overwhelmed and burn yourself out almost immediately if you try to do too much too soon. I advise my clients to start with baking a whole chicken, hard boiling some eggs, and cooking a batch of rice and broccoli. Those simple items are a great way to get started. The following week you can throw in some mason jar salads and change up your vegetable to cooked carrots. The week after that, throw in a batch of soup. 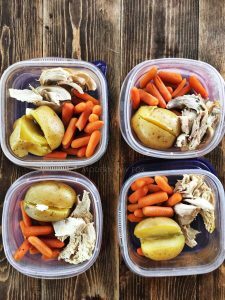 Soon it will be become like clockwork and you will have a manageable meal prep that takes around two hours, but saves you at least ten hours throughout the week! 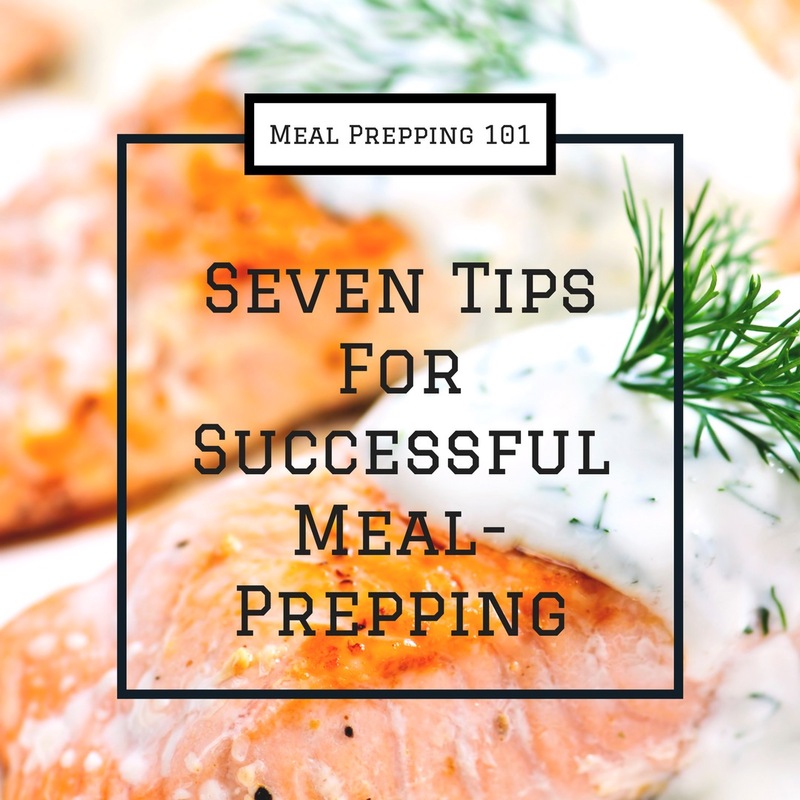 What other tips do you have for our readers for a successful meal prep! Share in the comments, along with any questions you may have. 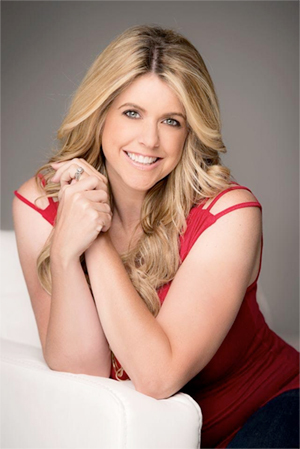 This post contains some affiliate links for products I use and love. When you purchase off these links, you are helping to directly support this blog! I thank you for that!